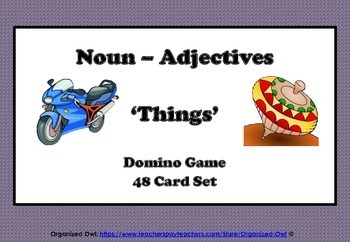 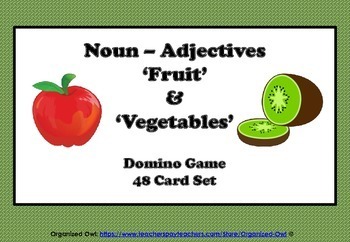 Noun Adjectives ANIMAL-THINGS-FRUIT&VEG 3 Individual Games! 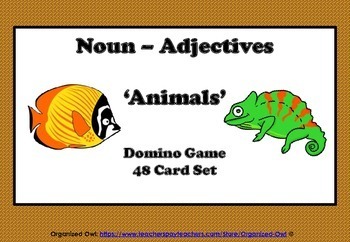 This download consists of three separate domino games focusing on noun adjectives. 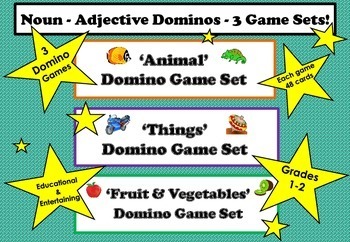 Children have fun while learning and are fantastic laminated and used in literacy circles and at work stations.